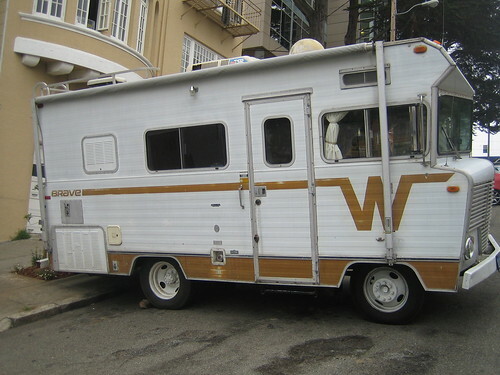 We at influx are on a particularly strange roadtrip in Ireland as we write, with a 1973 Winnebago Brave. But, one of the crew sharing the Winnebago’s Americana Kitsch sleeping compartments is an obsessive of Japanese and Chinese popular culture. Discussing the various attributes of godzilla films, girl superheros and strange oriental fetishes whilst bowling stylishly along a County Clare byway, our converstion stumbled upon a series that featured the delectably pretty rotary engined Mazda Cosmo. Of course, having never been intimate with ‘Return of the Ultraman’ we googled it as soon as we could find an internet connection. What arose was this deliciously retro, alarmingly progressive little coupé and a plethora of tribute videos that featured the pretty little thing, as well as countless screaming girl divas and huge plastic animals referenced throughout the ‘tube and on the Japanese telly. Apparently, hedeki-Go is a racing driver and human host for the Ultraman, who engages in a constant battle with the countless monsters, freaks and ghouls that populated the Japanese imagination of the 1970s. We thought you’d enjoy the cute lines of the Mazda, even if you might regard the Japanese series as bonkers. We certainly did.